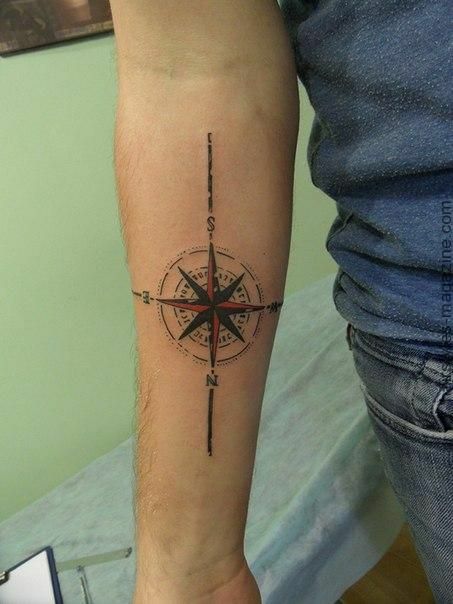 A compass is an instrument that has accompanied the history of mankind. 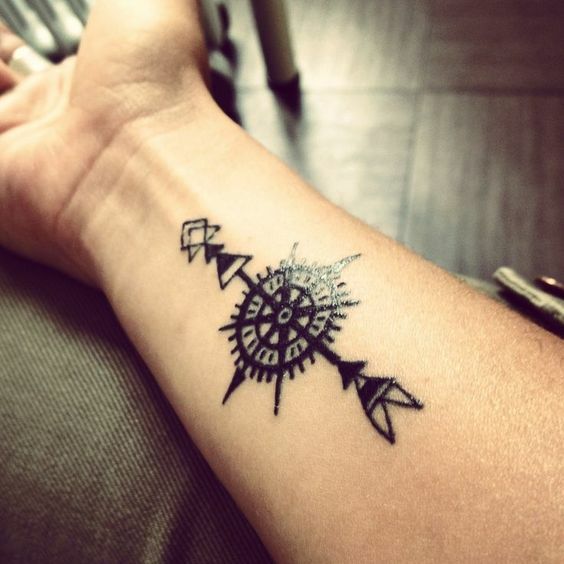 These little dials have helped sailors and soldiers find their ways for thousands of years. 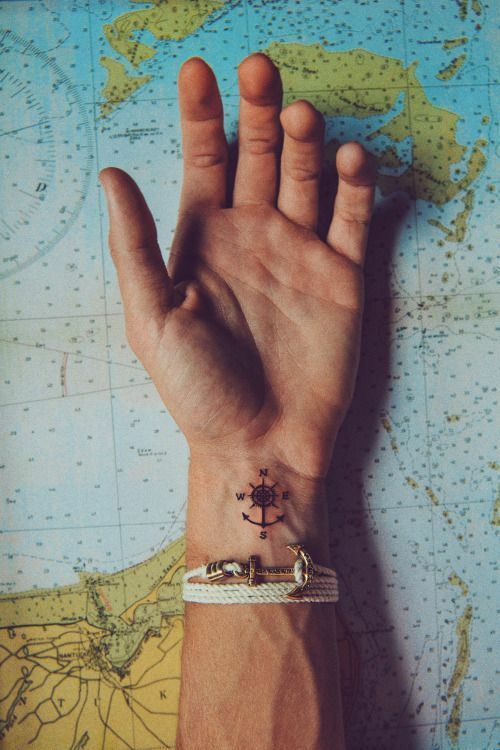 This maritime symbol was popular among early sailors and it was believed that getting a compass tattoo would protect you on rough waters and ensure that you would return home safely. 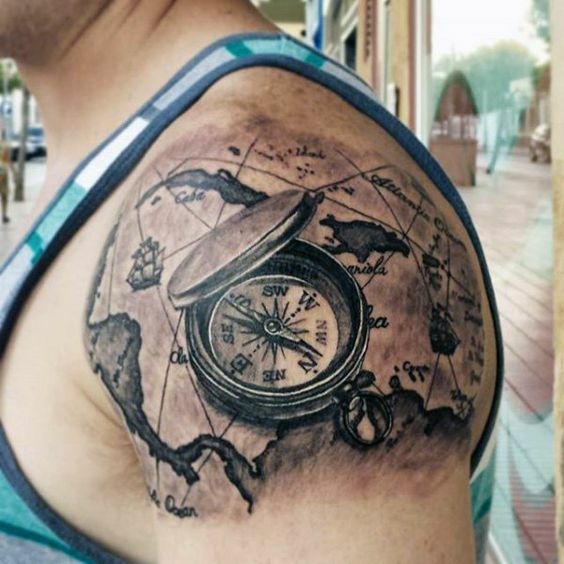 Even to this day, people can use the same compass tattoo meanings that others used centuries ago. 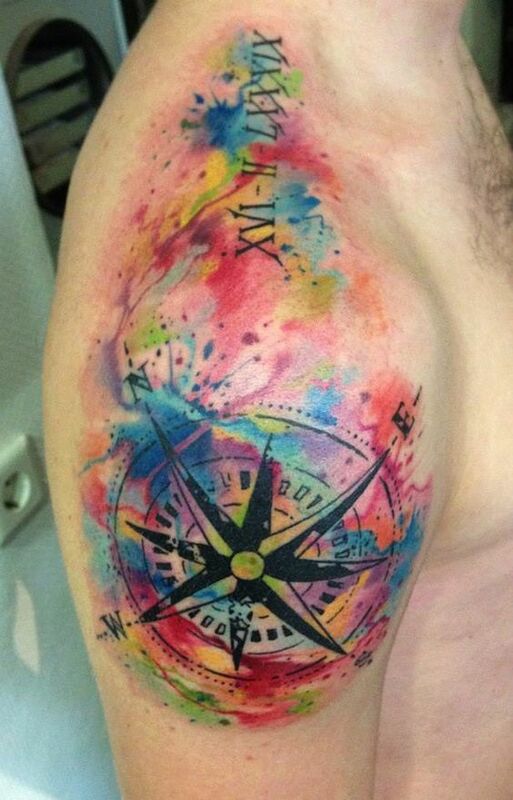 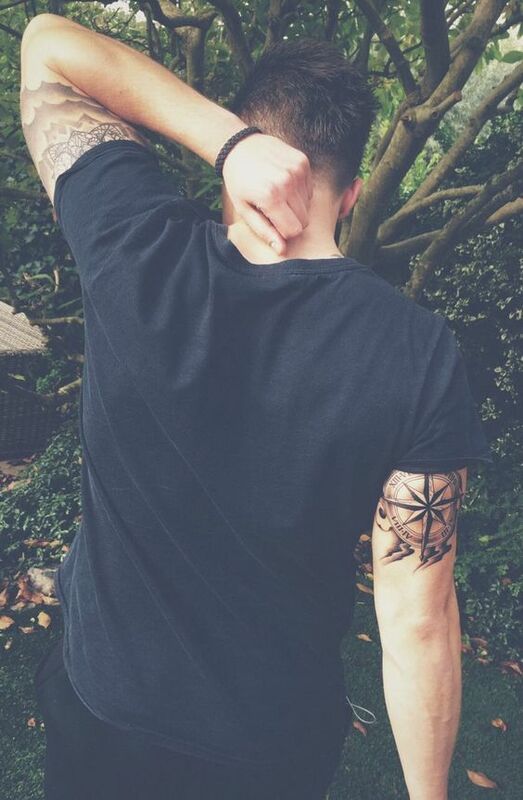 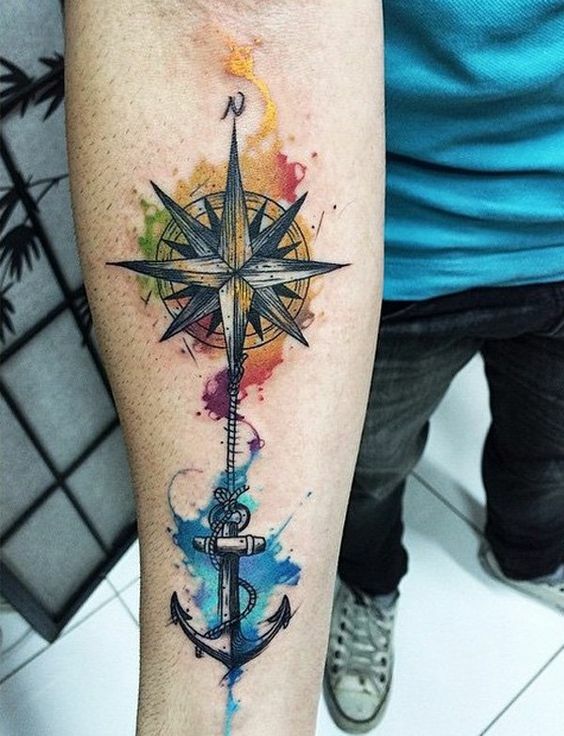 Choosing a tattoo that shows off your love for exploring the world, like a colorful compass, is a great way to express your personality in a visual way. 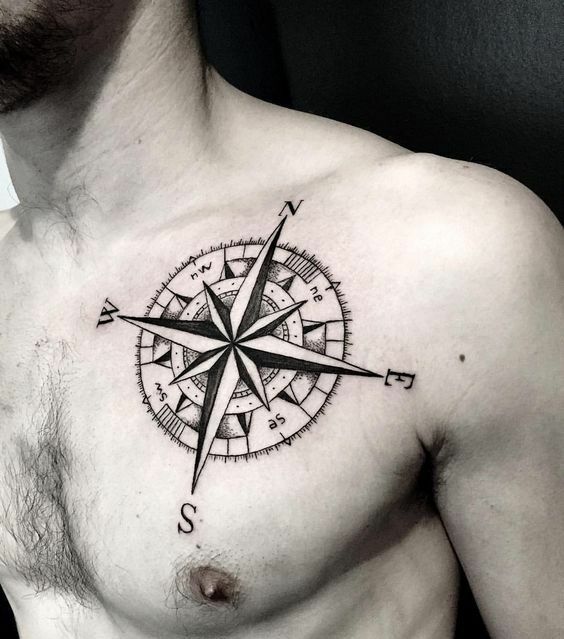 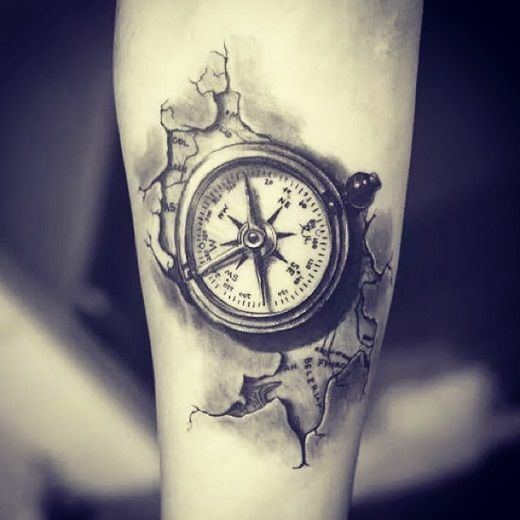 A compass tattoo can also mean guidance through difficult times, since a magnetic compass works even during a storm at sea or an emergency on land. 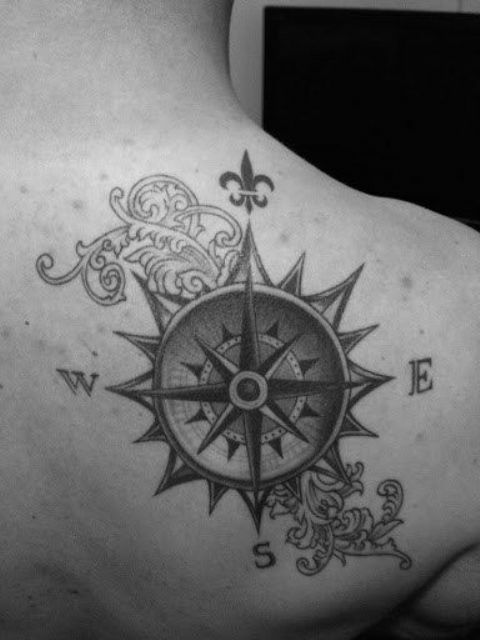 It can mean finding your way, which is helpful if you’re still searching for a goal or purpose. 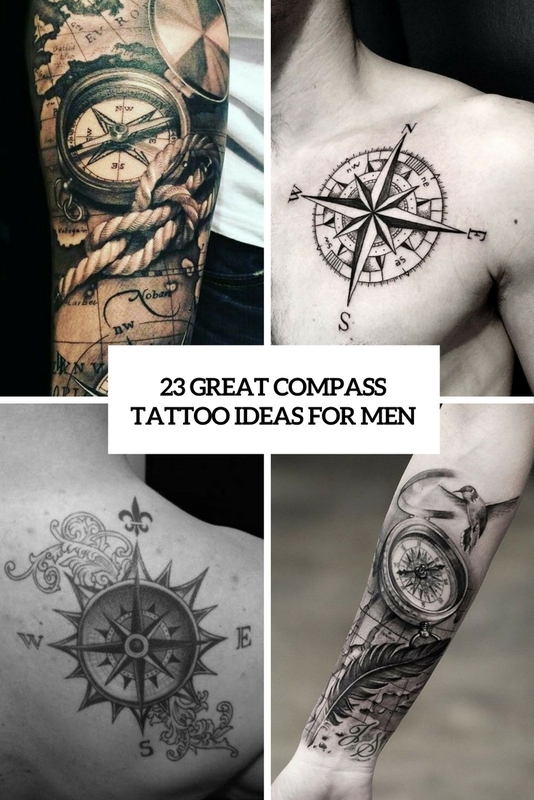 Taking guidance from the past or personal heritage, especially since many compass tattoos for men are chosen in honor of a family member. 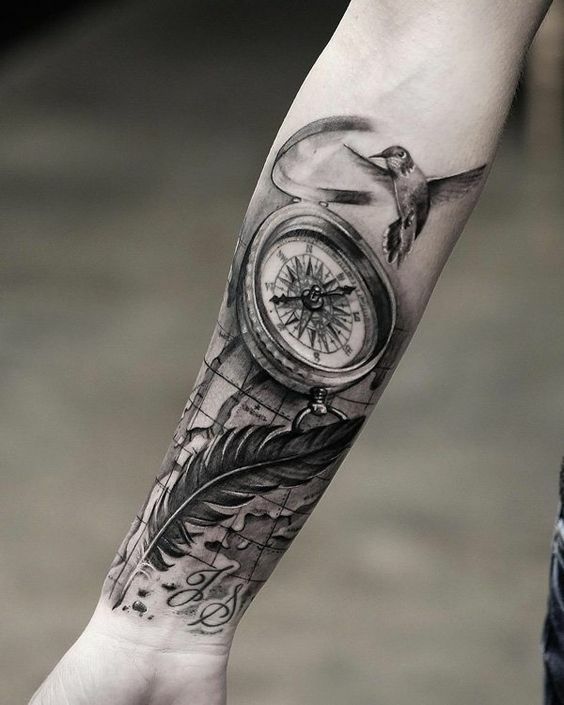 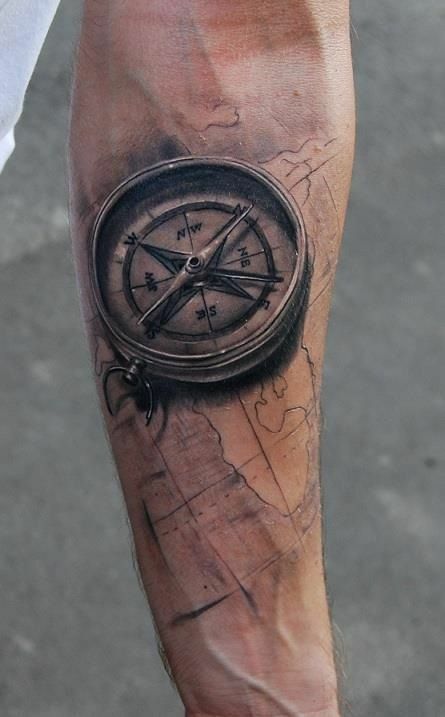 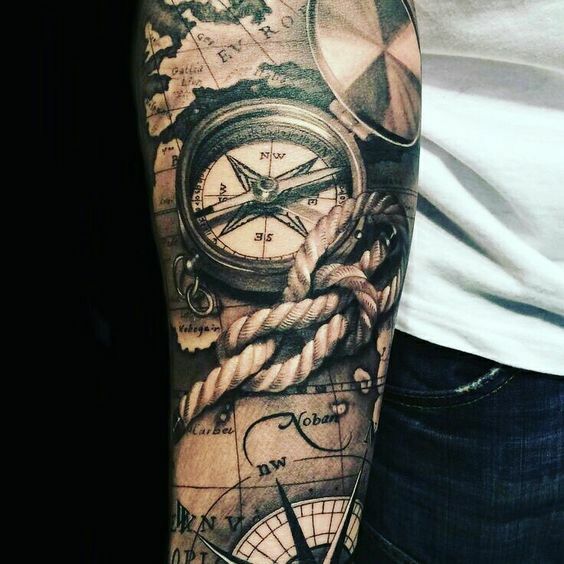 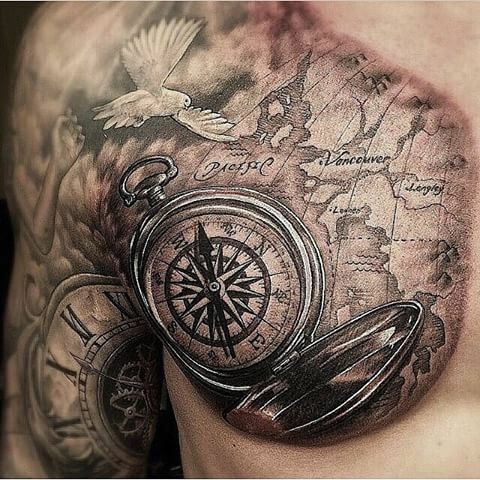 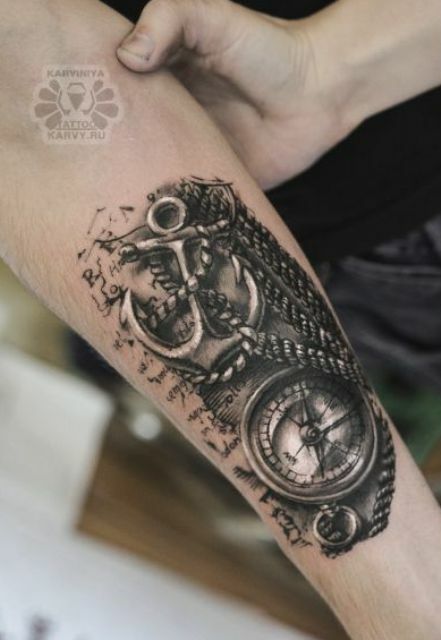 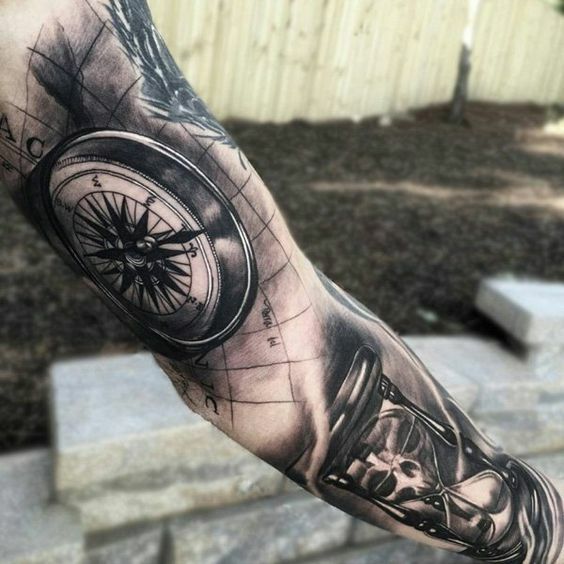 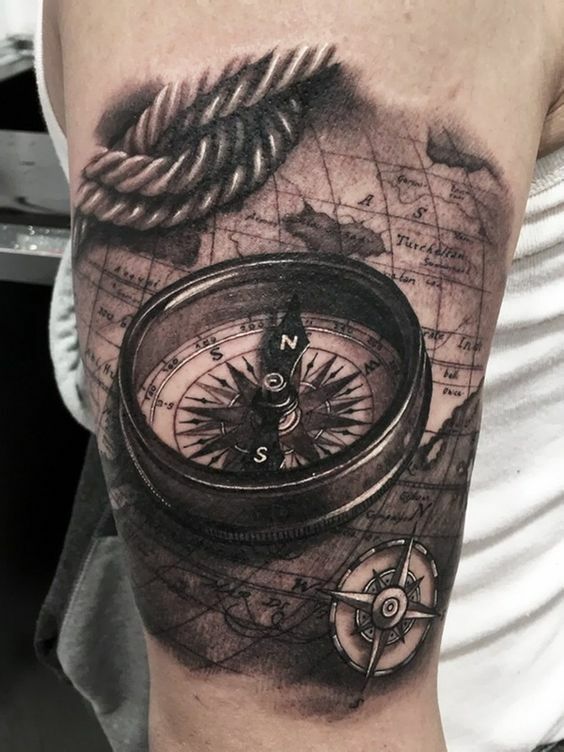 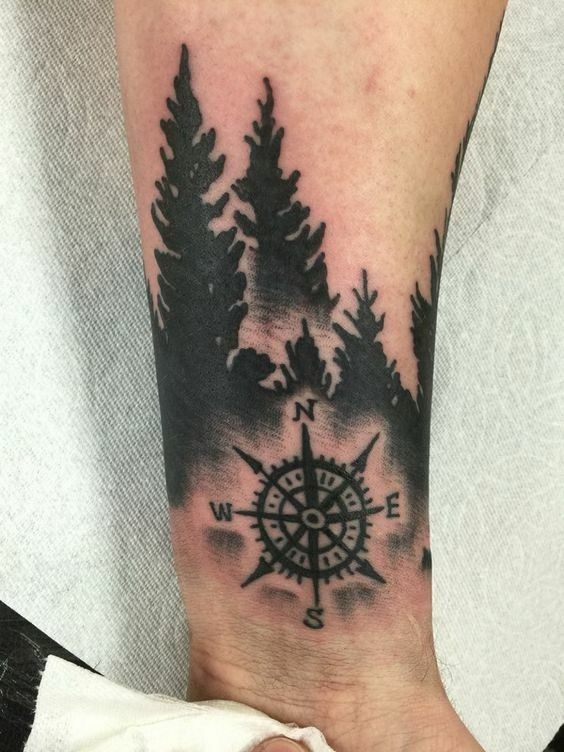 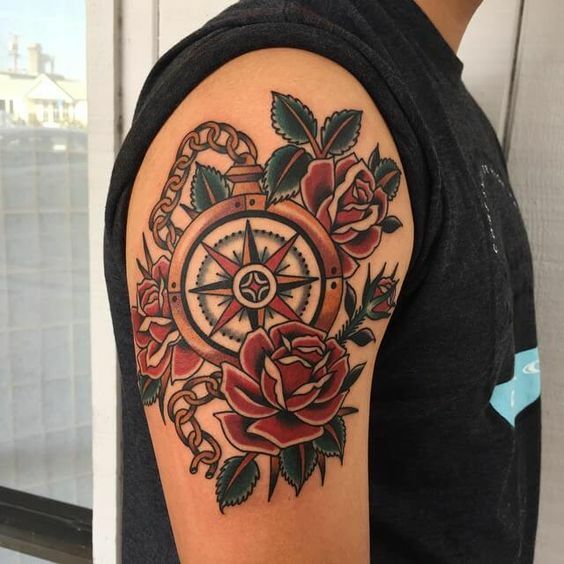 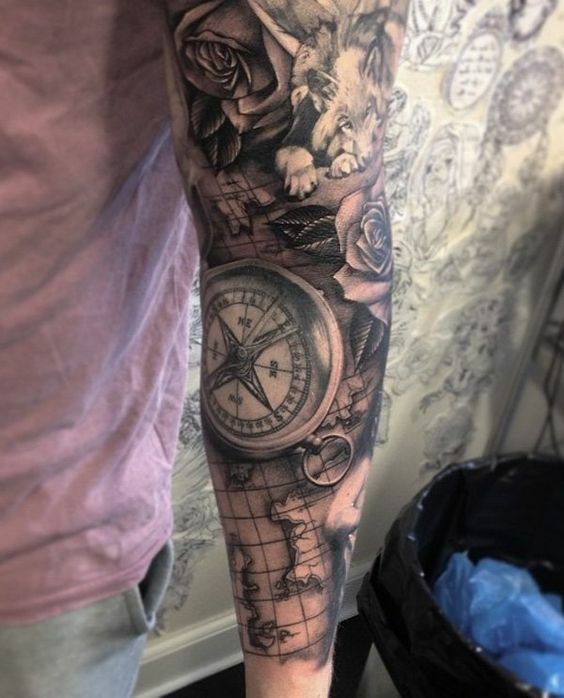 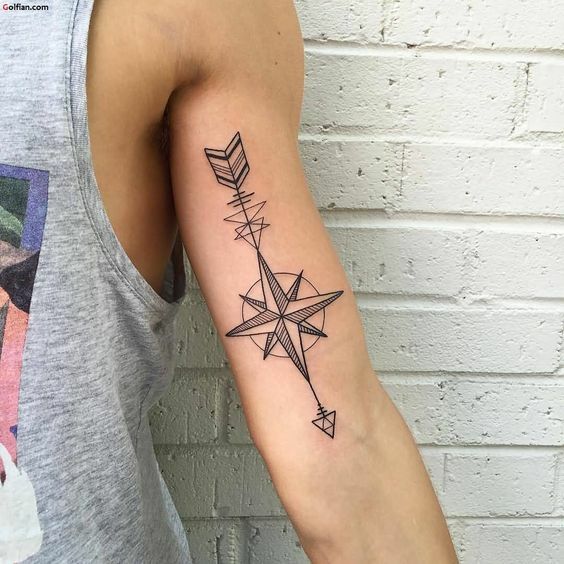 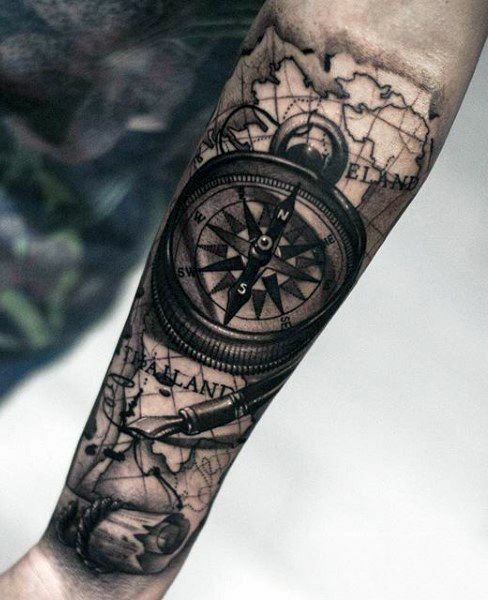 Create a fantastic 3D compass tattoo with a piece of map, rope, anchor, roses, feather, birds or any other symbols, here everything depends on the sense you want to put into this tattoo. 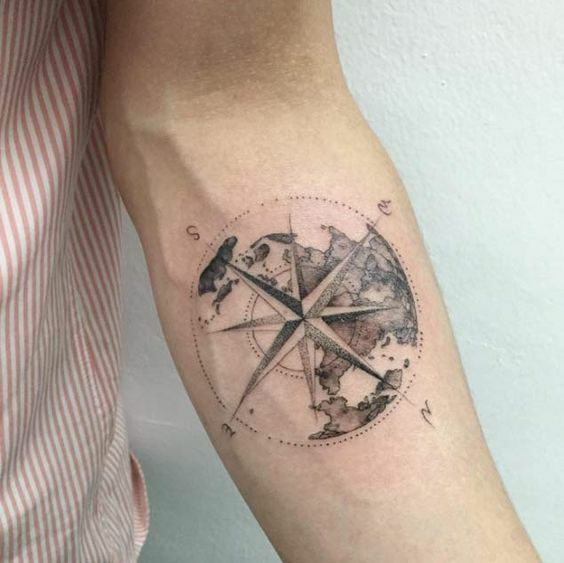 Small stylized compass tattoos, black ink or colorful, can be placed on wrists, arms, shoulders, body, back or wherever you want.